She came and went wreaking much havoc in her wake. 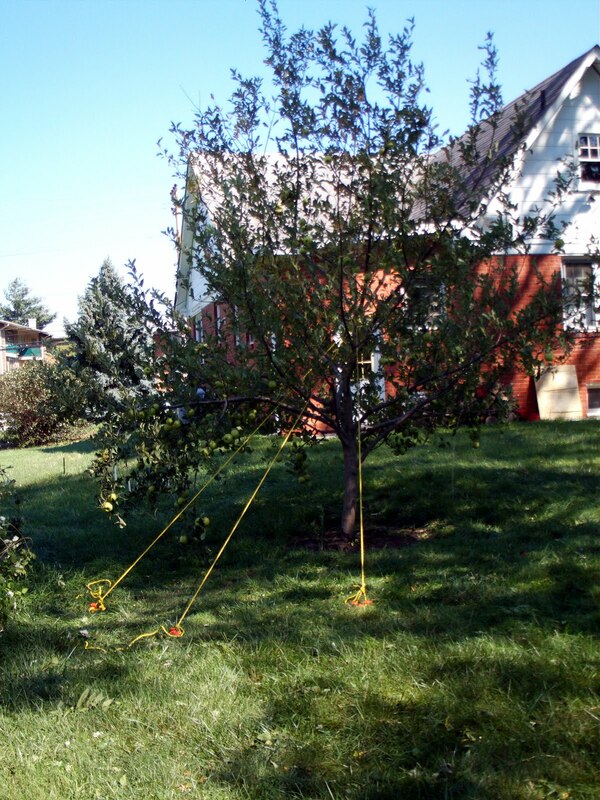 Four of our trees, with the help of a soggy soil, needed to be straightened after Irene visited us Saturday night. 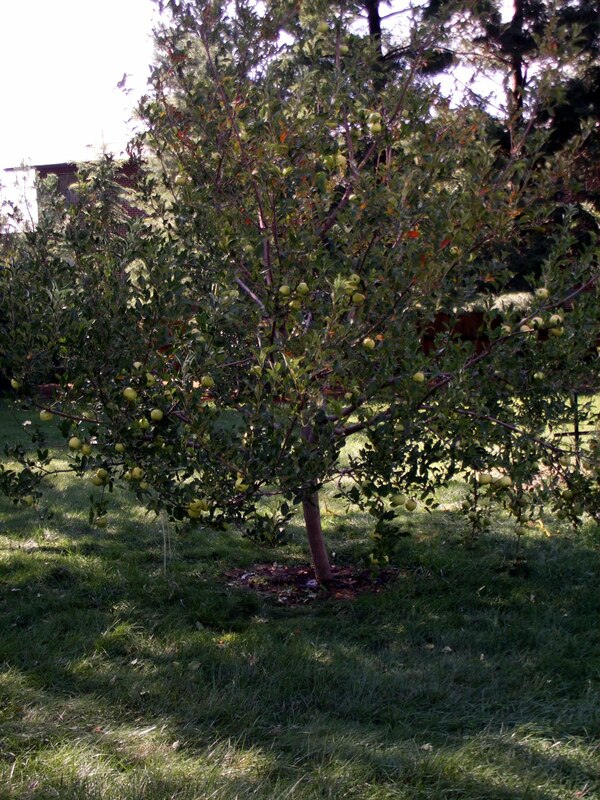 The biggest tree of the lot was one of our apples trees. Bad hurricane, bad girl. 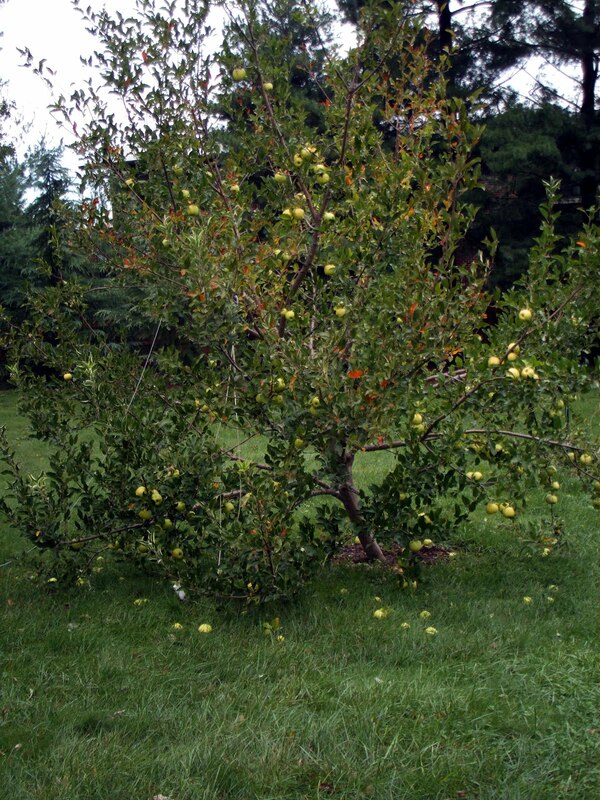 On the first picture, this is the tree standing a week before the storm. After some efforts from my wife, Donna, and me. Big job need big ropes. 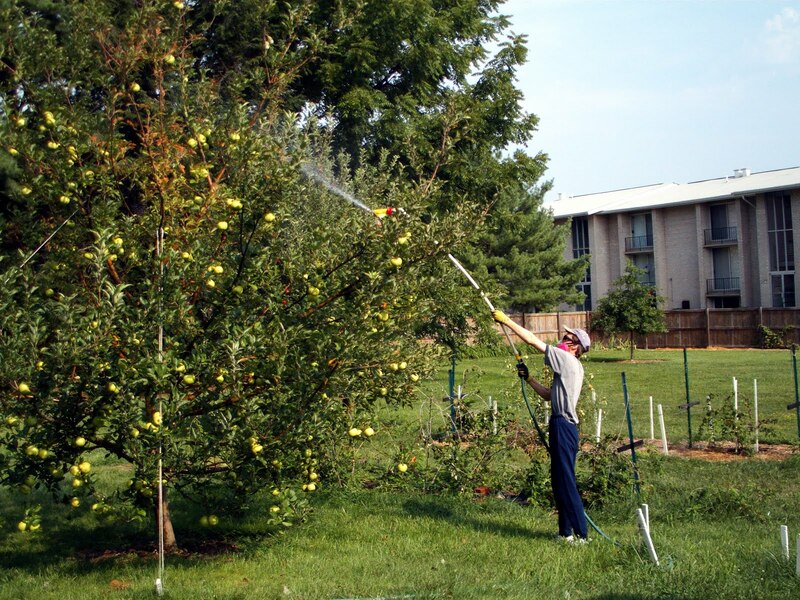 The good side is I didn’t have to climb a ladder to pick the ripe apples on the top of the tree. 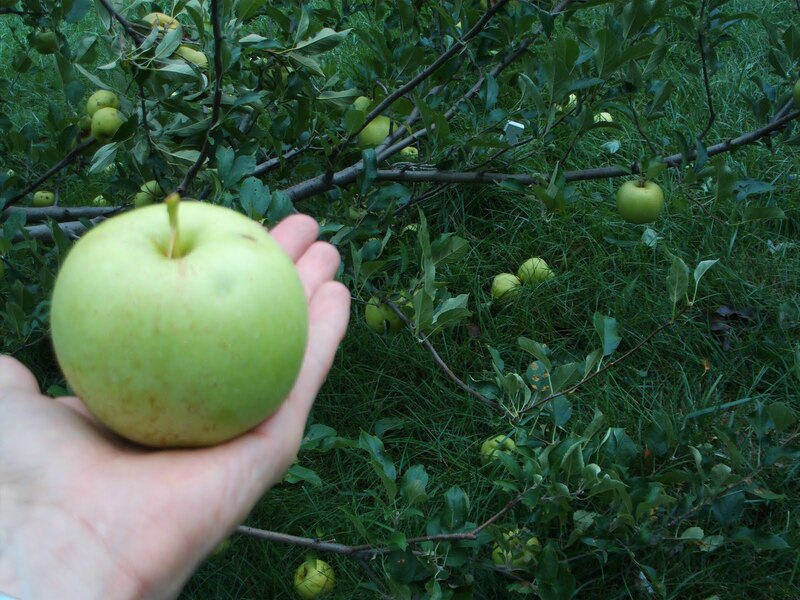 These are the apples only found on the ground. 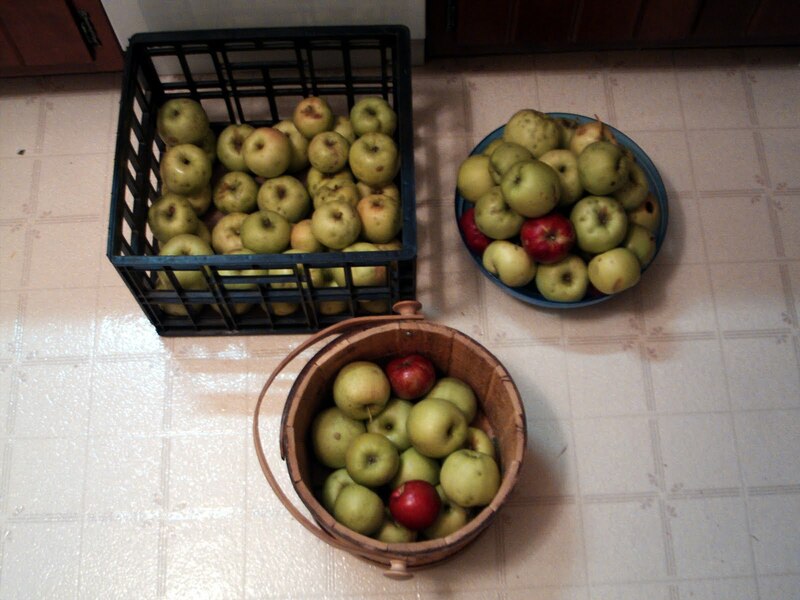 The red ones are from the other apples tree. ← Oh No she DIDN’T!!!! !